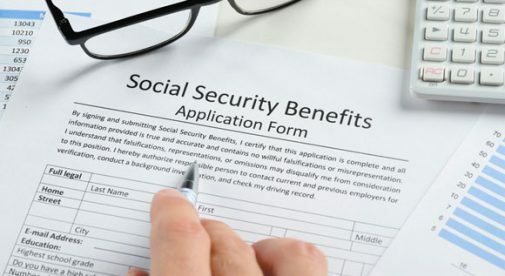 Did you know there is a little-known and legal strategy that can let you make tens of thousands more dollars in Social Security? This strategy, which most U.S. citizens don’t know about, can dramatically increase your retirement income, letting you live a far more comfortable retirement at home or abroad. But it’s about to disappear…possibly forever. So generous is this Social Security strategy that, in November 2015, Congress made it illegal. But no worries: Thanks to a little-known exemption, millions of U.S. citizens can still take advantage of this strategy…but only until January 1st, 2017. Consider two couples: Franny and Scott and Maria and Frank. They are all 62 years old, and if they start their Social Security benefits now, each couple can collect $2,300 a month. Each couple has found a retirement spot overseas where they can live on $2,000 a month and after arriving and settling in at their respective destinations, they have $225,000 in savings to begin their adventure. At age 85, the two couples cross paths. After fond greetings, they compare notes. How can that be, indeed? They are all exactly the same age, each started with identical potential benefits and savings, and both couples followed the same conservative investment strategy and the same monthly spending plan. Yet one couple collects 76% more per month in benefits and has 50% more money saved in the bank. The experiences of these couples illustrate the importance of using a claiming strategy to get the most out of your Social Security benefits. And one of those strategies is ending soon. You need to know about this because come April 29th, your chance to cash in on this opportunity will have passed you. Tens of thousands of extra dollars could be flowing your way, but that April 29th deadline is just six days away. Make sure you get what you can, while you can.